Bookkeeping is a job in which you can have your own business. According the AIPB (American Institute of Professional Bookkeepers) 35% of members are either part-time or full-time freelancers. Whether you are looking to supplement your income from your day job at a company, or you want to freelance full-time and set your own schedule, the field offers plenty of opportunities. How do you get a job as a freelancer? Because good bookkeepers are hard to find, your availability might spread by word-of-mouth after you are established; in the beginning however, getting referrals from CPAs is the way to go. Many businesses, particularly small ones and startups, need financial assistance to handle routine matters. While they do not need (and often cannot afford) the services of a CPA on a regular basis, a bookkeeper would be a perfect addition to the staff. Since bookkeepers usually work in tandem with accountants, the CPA that referred you to a business would handle certain reports or filings, or at least check the work of the bookkeeper. By building a network of CPAs, you can have a prosperous business built on referrals. Since startup companies often need bookkeepers, you can check local sources for the names of new businesses in the area. In addition, by setting yourself up with a Facebook business page and a LinkedIn profile, you can even promote yourself online as a bookkeeper for hire. Aside from people with full-time businesses who may need bookkeeping assistance, you may uncover a market of people who do seasonal landscaping, graphics, home sales, or childcare, who need some professional guidance in keeping their books. You have the choice of whether you want to take any client who is interested, or whether you want to specialize in particular types and sizes of businesses. Because of the difference in education, most bookkeepers cannot charge the same rates as accountants do. However, the job still commands decent fees, whether you charge by the hour or by the project. Especially as you are getting started and building your business, the AIPB suggests some useful approaches for how to bill clients. Tie your rates to CPA rates. If you get some of your jobs through CPA colleagues, ask them about the lowest rates that they charge as an indication of what your starting price should be. Don’t be afraid to vary your rates by job. Some clients who have never employed professional bookkeepers before may have their records in a mess. You might charge less per hour to help get them up to speed and then let your full rates takeover. Go in low, but talk about future expectations As you are getting established, some clients might question whether you are worth your rates. New businesses may not be able to pay you what you are worth. In either case, you can offer an introductory rate that you will increase in 30 days or a few months. If you have to prove yourself, your good work will justify the higher rates at the end of the trial. Having a business as a freelance bookkeeper allows you to work around your responsibilities at home, another job, or your school schedule if you are working on an additional degree. 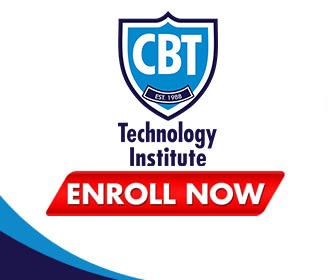 If you start out with good credentials with an A.S. in Bookkeeping from CBT College, you can have a prosperous career on your own terms. Contact us at 305-764-3165 to learn more about our programs and find a campus near you.